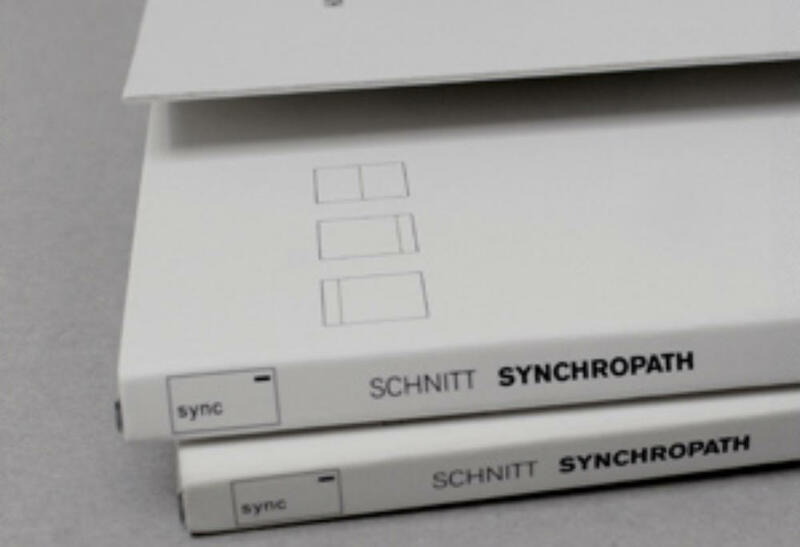 For the release of the project SYNCHROPATH , originally conceived as a live performance, SCHNITT chooses exclusively the DVD format in order to render sound and image inseparable. 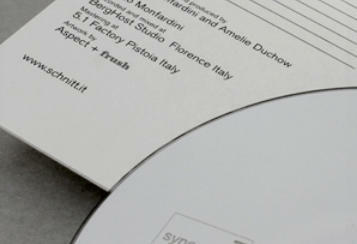 The DVD duration of around 50 minutes is composed of 8 visual and sound parts to be reproduced in continuous play. SYNCHROPATH develops a method of composing based on the synchronism of video and audio files.The generated files come from several different sound and video sources. SCHNITT selects 42 audio sources and 28 video sources from which they extract 678 audio files and 234 video files. 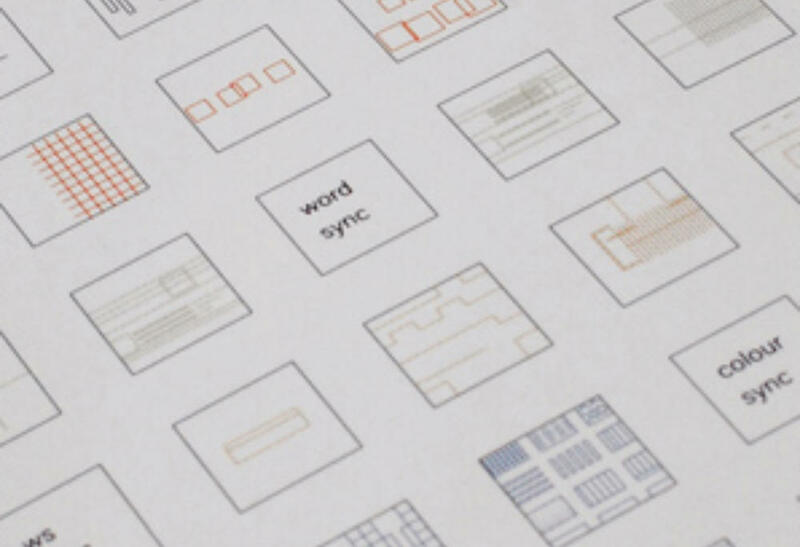 The single files will be processed, assembled and synchronized between themselves and build up the basic structure of this work. 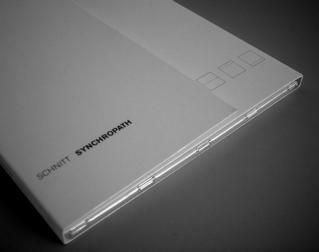 The initial inspiration for the realization of the project Synchropath can be found in the impact of the disorder and chaos generated by the invasive and oppressive presence of sound and visual sources which surround our everyday lives. SCHNITT questions the status of the image, an exploration between communication systems post - television, public screens, websites, home movie’s, surveillance cameras, service monitors etc. SCHNITT activates a process of addition/subtraction which is taking position beyond from the image itself .During the interaction between sound and light the captured images reveal only insome parts their own figurative origin, the 8 tracks continue along between balance and abstraction, harmony and obsession. 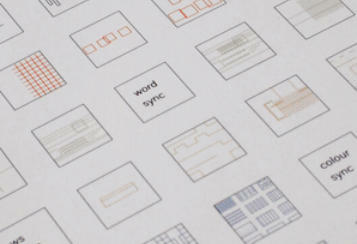 Each part refers to a certain type of synchronization using its single basic colour for the chromatic development of the video part. The audio part is composed simultaneously to the visual part and is developed by a selection of more than 600 sound fragments which have been extracted especially for this project from the examined 42 sound sources. 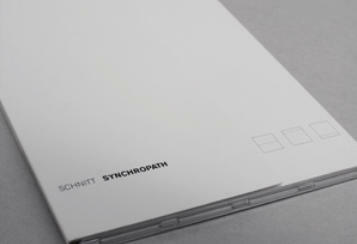 The sound of SYNCHROPATH is the result of assembling and overlapping sound work, a sort of utopian harmonic organization between communication systems. The sound of electronic origin builds up on rhythmic structures which SCHNITT defines in accordance with the external inputs. SYNCHROPATH is produced and released by Sync with a limited edition of 500 copies.